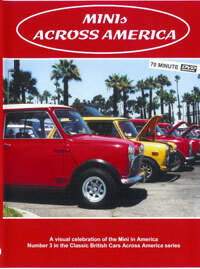 Minis across America tells the remarkable story of the original Mini in the US, from its launch in the early 1960's to the devotion of diehard owners who kept the name alive until the late 1990's. Filmed at shows, race tracks, club meets and including rare archive footage, this revealing production mixes history, passion, travel, and speed. 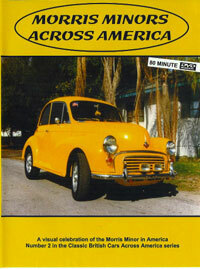 All filmed exclusively in the US and Canada, coast to coast (and Hawaii). Click on the picture for more details. DVD format, running time approx. 70 minutes. 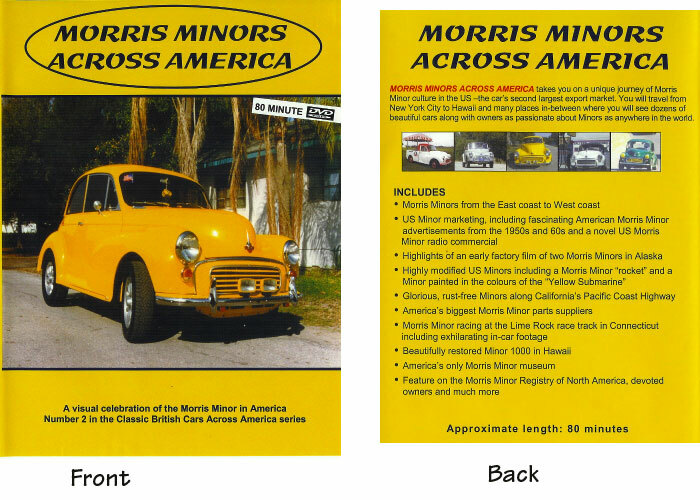 Morris Minors across America takes you on a unique journey of Morris Minor culture in the US - the car's second largest export market. 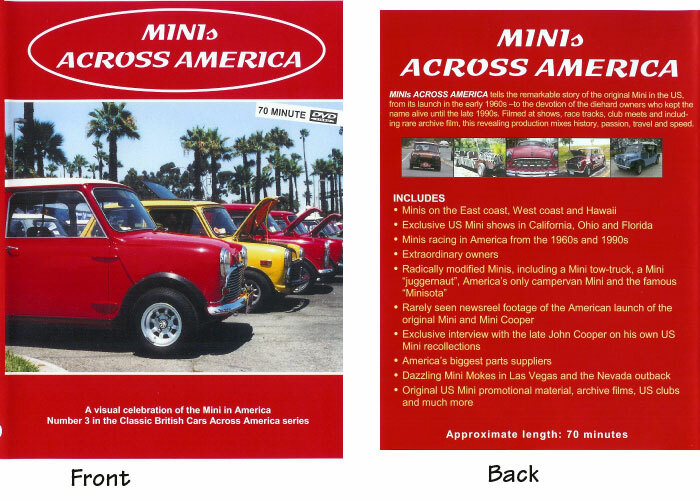 You will travel from New York City to Hawaii and many places in-between where you will see dozens of beautiful cars along with owners as passionate about Minors as anywhere in the world. Click on the picture for more details. DVD format, running time approx. 80 minutes.